The Eurostar service now operates from the fully refurbished St Pancras station. 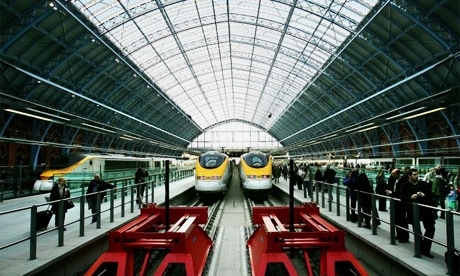 London to Paris in just 2.5 hours making Eurostar the fastest connection between London and Paris, Lille or Brussels. From city centre to city centre without the additional hassle associated with going via Heathrow. Our 2007 Mercedes S Class and I featured in the promotional film to promote and launch of the all new Eurostar service out of St Pancras having previously operated out of Waterloo. An alternative to taking the train to Fance is to take the car. 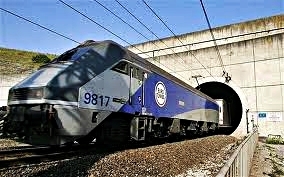 After a pleasant drive through the English Kent countryside we arrive at the Channel Tunnel Terminal near Folkestone. 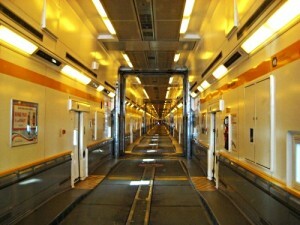 We soon clear passport control then drive onto Eurotunnel’s Le Shuttle service. The custom built air conditioned carriages permit passengers to remain with their vehicles for the 40 minute crossing via the Channel tunnel. Toilet facilities on board. On arrival at the Sangate Terminal just outside Calais as all passport formalaties were completed before boarding in Folkestone we drive straight from the train onto the excellent French motorway network. Of course the option to go by Ferry remains popular. If taking your cat or small dog into Europe please note that pets are not permitted to travel on the passenger only Eurostar service. Some clients overcome this by taking their pet on the Eurotunnel service before driving down to Lille to board the French TGV train service. The TGV service permits small cats or dogs to travel with their owners but a suitable pet carrier is recommended. 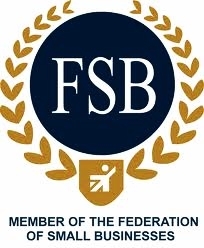 Clients returning to the UK can be met at Lille for the drive up to Calais where Pet Passport formalaties are completed at the designated facility before joining the Eurotunnel service back to Folkestone. My colleagues and I were called upon to rescue stranded clients from Paris and Madrid as a consequence of the Volcanic Ash Cloud.